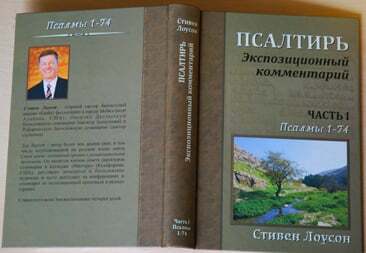 Our friend and co-laborer, Steve Lawson just received confirmation that his commentary on the Psalms was just delivered in Russian to Samara. It took over six years to get this first volume in print, but Dr. Lawson reports they are greatly encouraged. His labors over the Psalter will now impact hundreds of preachers in a foreign land on the other side of the world for years and years to come. To His glory we rejoice!